To understand how to read the family listings, click HERE. Gelle Levi is descended from the BASSEVI family, for which records go back to 1475. The records are a bit unclear on this, but it looks like she was the daughter of Moses LEVI. See the BASSEVI page. ‣ Abraham Leiffmann (1763 - 8 September 1811). Never married. ‣ Aron (1754 - 9 April 1816) This may be the same Aron as in the next line. Some records indicate two people, others don’t. Aron Leifmann took the name Kleinstrass in 1808. He had two sons who survived into adulthood (and two who didn’t). Of the two who did survive, Levi stayed in Steinheim and is the ancestor of the Steinheim branch of the Kleinstrass family; Selig went to the nearby town of Bredenborn and is the ancestor of the Bredenborn branch. Bette Heinemann was the daughter of Israel Heinemann and Fratgen Meyer from the town of Lügde close to Bad Pyrmont. Aron built up the family business, specializing in raising sheep. See the photograph from their 25th wedding anniversary, below. For the children of Sally Kleinstrass and Paula Eisenstein, see “Paula Eisenstein and Sally Kleinstrass,” above. They were cousins, so they are on this page twice. Rachel HOCHHEIMER came from another Steinheim family. More about the HOCHHEIMER family can be found HERE. • Abraham KLEINSTRASS (22 May 1844, Bredenborn - 30 November 1893, Bredenborn) & Helena (Lenchen) ROSENSTERN (11 December 1848, Fürstenau - 15 January 1911, Bredenborn) For more about the ROSENSTERN family, click HERE. - Ernst ROSENBAUM (29 September 1911, Udorf - 15 November 1938, Buchenwald) Like the majority of Jewish men in Germany, Ernst Rosenbaum was arrested and sent to a concentration camp in the days following Kristallnacht (the pogrom against the Jews of Germany on November 9, 1938). Most men were sent home after a couple of months. Ernst, however, did not survive; he was murdered at Buchenwald a few days after getting there. For more about Kristallnacht, see the introduction to THIS page. Photo below. For Johanna Baum’s family, click HERE. - Paul Louis KESTER (KLEINSTRASS) (1925, Wiesbaden - ) & Susanne Jeanette LUFT (1924, Berlin - ) Born Paul Kleinstrass, he changed his last name to Kester after immigration to the U.S. For the family of Susanne Luft, click HERE. 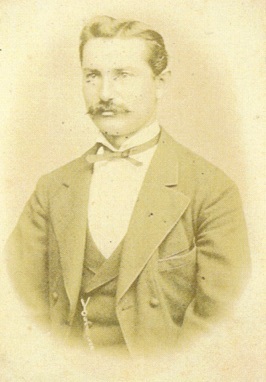 Josef was a physician in Hamm. He was deported to the ghetto in Zamosc in eastern Poland on 27 April, 1942, from there he was probably sent to the death camp of Belzec or Sobibor. Read more about him (in German) HERE. *People with asterisks after their names were married two or more times. They have a separate line for each spouse. Kleinstrass (or Kleinstraß) is my family name. Or at least it would be if my father hadn’t changed it to the more pronounceable (at least by Americans) “Kester” when he immigrated to the U.S. (and that’s also why we are not related to any other Kesters). When Jewish families took on family names, which happened in the early 1800’s, it was common that different families in different places would pick the same name. This often resulted in one family name being used by many unrelated families. The name Kleinstrass is different. As far as I have found, no other family picked that name. So if you are related to a Kleinstrass, you are related to me. The name means “Little Street” and was chosen because the family lived on a small street in the town of Steinheim in Westphalia (see MAP). The street, formerly Lütge Gasse, is now called Hollentalstrasse, and is close to the Steinheim town hall. The first mention of the family in the Steinheim records is in a list from 1704, which includes Arend Jacob. So the family most likely came to the town at the end of the 1600’s. Arend Jacob’s son was Leiffman Arend. Leiffman Arend married Gelle (or Elle or Gellechen) Levi, who came from a family, the Bassevis, formerly one of the most prominent Jewish families in Europe. So prominent in fact that they get their own page, HERE. Leiffman Arend and Gelle had a son, Aron Liefmann. In 1808, when Jews were required to take family names, he became Aron Liefmann Kleinstrass. There is some mystery about him, in that there seem to have been two Aron Kleinstrasses. I used to think they were the same person, but now I think they were two. There are two different birthdays, two dates of death, and two names of wives, depending on where you look. Because people have assumed that they were the same person, facts about one may have been credited to the other. I’m continuing to try and figure out who was who. 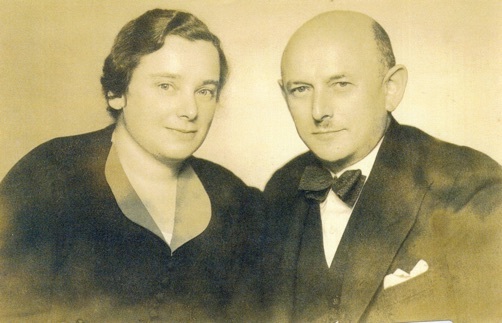 Aron Leifmann married Bette (or Beile) Heinemann, and they had sons Levi and Selig (or Seligmann). At that time, unless a family was particularly wealthy, the oldest son would inherit the family home and whatever business the family was involved in. Any additional sons were on their own. In this case, the oldest son, Levi, continued the family in Steinheim, while his younger brother, Selig, moved to the nearby town of Bredenborn where he started his own family. This resulted in there being two branches of the Kleinstrass family, which continues to this day. A few years ago, through the wonders of the internet, the two branches of the family found each other again and reconnected. Descendants of Levi Kleinstrass remained in Steinheim until the Nazi era (see family photo from 1929, at the bottom of this page). After their family had lived in the town for 250 years, the last Kleinstrasses to live there, the sisters Sophie and Paula, escaped to Bolivia in 1940. Others were not so lucky. For example, Hermann Emmerich and his wife Liesel, together with their small daughter, Juliane, left the terror of Germany for Holland around 1937. Their second daughter, Hanna Ruth, was born there. Unfortunately, after the German takeover of Holland they were captured and deported to Auschwitz in 1943. The mother, Liesel, along with 6 year old Juliane and 4 year old Hanna Ruth, were murdered immediately upon arrival. Their father, Hermann, survived for two more months. The other branch of the family (my branch), the descendants of Selig, lived in the town of Bredenborn. Selig had married Rachel HOCHHEIMER, also from Steinheim, and they had a son, Abraham (1844-1893, see photo at right), who married Helene ROSENSTERN. They had seven children. Many of them left the small town of Bredenborn for other places. 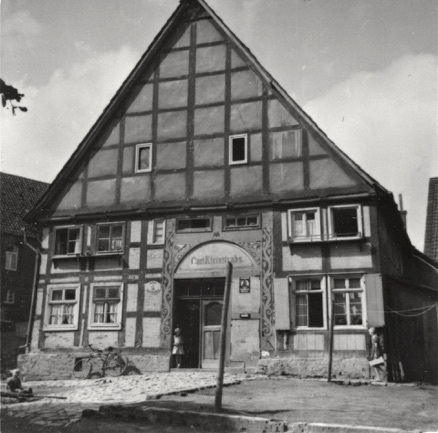 However, one brother, Hugo, stayed, and due to his marriage to a Catholic woman, Anne Ritzenhoff, his family was able to survive the Nazi years, and some of his grandchildren and great-grandchildren still live in Bredenborn. Today descendants of the Kleinstrass family live in Germany, the United States, Israel, Bolivia, and New Zealand. There still are several people named Kleinstrass living in Germany. Names in RED are people who were murdered during the period 1933-1945. Thank you to Johannes Waldhoff in Steinheim, author of the book, “Die Geschichte der Juden in Steinheim” (History of the Jews of Steinheim). His research into the history of that town proved invaluable. Thanks also to Josef and Guenther Menzes who have done excellent research on the Jews of Steinheim, to Fritz Ostkämper, and to members of the Dolinsky family for the information they provided. Additional information came from the records of Alex Bernstein (held at the Leo Baeck Institute). Alex Bernstein collected Jewish genealogical records from the Steinheim/Höxter/Brakel region during the 1930’s. 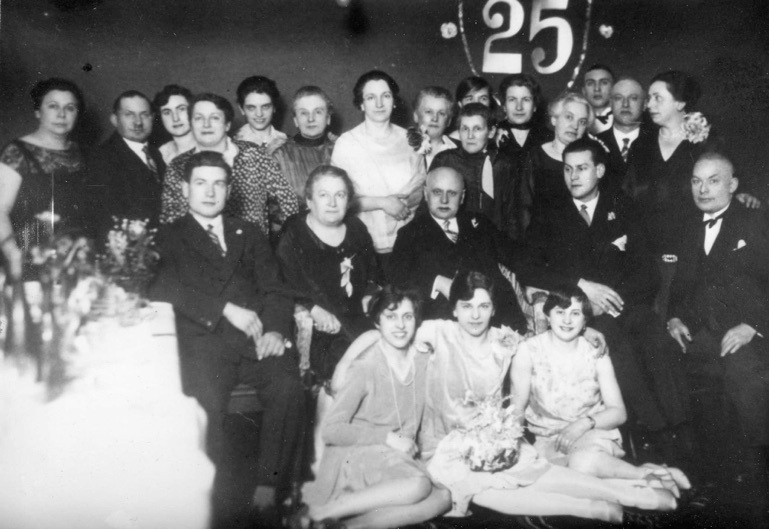 Back row, left to right: Helene Emmerich, Selly Emmerich, daughter of Salomon Emmerich, wife of Salomon Emmerich, Irma Eisenstein, Johanna (Kleinstrass) Eisenstein, Paula (Eisenstein) Kleinstrass, Sophie Kleinstrass, Paula Kleinstrass (in front), Lina Hirschland (behind), Anna Emmerich, Hans Emmerich, brother of Julius Emmerich, wife of the brother of Julius Emmerich. Middle row: Walter Emmerich, Bertha (Kleinstrass) Emmerich, Julius Emmerich, Hermann Emmerich, Salomon Emmerich. Front row: Alice Emmerich, Wilhelmine (Eisenstein) Schnellenberg, Grete Emmerich.